The Government Digital Service (GDS) is holding an event to share our stories and best practice from API work going on in both departments and internationally. All our events are aimed at helping us learn from each other and move towards our common government API standards, with the hope of creating more interoperability. This event on the 1 May holds more strategy-focussed talks than previous events. We’ll be hearing from Canada’s Office of the Chief Information Officer on how they’ve launched a cross-government API store, and from Richard Pope, a Senior Fellow at the Harvard Kennedy School of Government, who will be speaking on government platforms around the world. Rob Chambers, a product manager at the Office for National Statistics, will also be talking at the event about what it’s like delivering APIs from a product management perspective and how this differs from service delivery. Both GDS and the Department for Digital, Culture, Media & Sport (DCMS) will give updates on some different areas of API standards work. GDS will be talking about the OpenAPI 3 Open Standards Challenge and the next version of the government’s API standards, as well as some updates on new guidance like domain naming, and DCMS will share some of the work they’ve done establishing standards for data sharing agreements. There will also be an unconference session where we’ll hand the agenda over to attendees so they can discuss particular projects, solicit feedback or just start a conversation about something they’re interested in. We’ve held a number of API cross-government events now, with the focus changing as the community has matured. Prior to the launch of our government API standards, DWP hosted an API event in Birmingham to discuss the draft with central and local government, as well as suppliers. After the launch we held a second event with central government at GDS to discuss areas of the standards we could progress further. This event took the form of a number of facilitated workshops and focussed on how to build high-quality APIs. This was a step beyond the base standards, for instance, exploring the ideal service level objectives and security standards. We recently released more API guidance on some of these topics. The third event we organised was hosted at HMRC offices in Shipley and showcased some of the best practice in API development within central and local government. 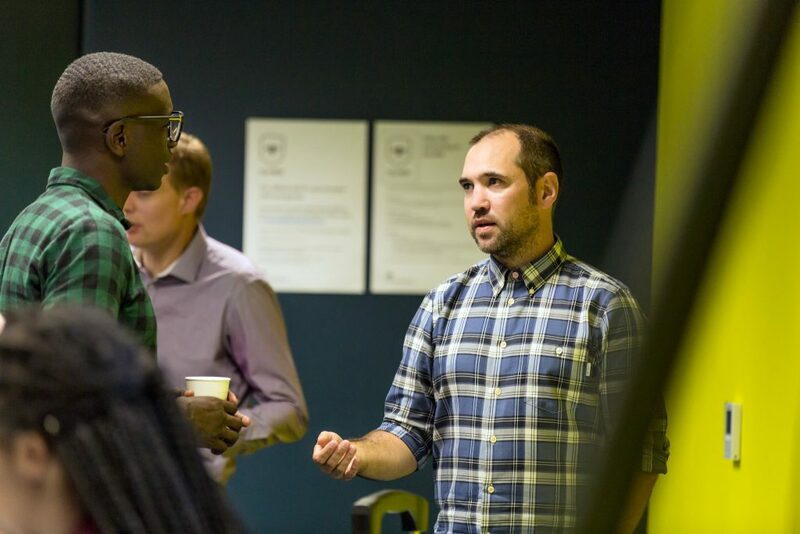 Our next event on 1 May will be looking at strategies departments are taking to produce APIs that can meet user needs, while also focussing on reuse and delivery challenges. The event on 1 May is now sold out but we have a waiting list so please get in touch if you’re interested in coming along. You can sign up to the next community meet-up on 25 June in Leeds, which we are running in partnership with the NHS. Speakers confirmed include those from Companies House, National Rail and GOV.UK Notify. We will share more details in the near future. If you’d like to stay up to date with government API news, please email to join the cross-gov API Google Group and join the API channel on the cross-government digital Slack group. You can also register for updates to the Technology in government blog. tried to register to get on the waiting list but email is bounced back with the initial error message "We're writing to let you know that the group you tried to contact (api-standards-request) may not exist, or you may not have permission to post messages to the group". Same issue so I guess there's been no update.